Here at Kumeu Dental we are very passionate about what we do and love supporting our local community with information on the latest techniques and procedures available in modern dentistry today. Professional whitening is one of our most popular cosmetic dental procedure as it is safe, affordable and delivers quick results. So, we host regular free information evenings to give our patients the best and latest information possible. Attendees of our informal events are treated to complimentary nibbles and drinks and of course receive our December specials directly from our lovely hygienist team : TK, Leo and Fernanda. Dental discolouration has been an aesthetic concern stretching far back in time. The ancient romans had a “secret recipe” for dental whitening involving rubbing their teeth with “natural compounds made up of urea” and brushing their teeth using “baking soda”. Nowadays, professional whitening has come a long way to achieve an instant white bright smile. 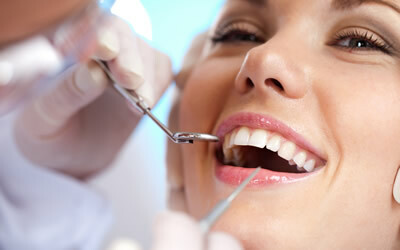 There is no surprise it has become the most popular cosmetic dental procedure! How many ways are there to whiten your teeth? Take-Home Whitening – This is the most “budget friendly” way of whitening your teeth. Models of your teeth are made, then customised trays with individual reservoirs for each tooth are fabricated by our technicians. The trays are worn with the whitening gel in place for 40 minutes every night for couple of weeks. In-Practice Whitening – this is done in the dental chair and is the best option to achieve instant and the most premium results. It usually takes 1- 1 1⁄2 hours to complete. All patients are required to see a clinician for a pre-whitening consultation to check that they are suitable to go ahead with the whitening treatment. Fillings, crowns or veneers may not whiten at all. Using tobacco, Consuming dark-colored liquids like cola, coffee, tea and red wine, not taking care of your teeth, aging, smoking. It is caused due to the food which we consume. The color of natural teeth is created by the reflection and scattering of light off the outer layer of tooth called as enamel, combined with the color of the dentin under it. The thickness and smoothness of the enamel is also important. Thinner enamel allows more dent in color to show through. A thin coating forms on the enamel as we consume the food every day and it picks up stains. Enamel has pores that hold stains. Stains can be found inside the tooth. These can be caused by exposure to too much fluoride, tetracycline antibiotics, etc. Tooth whitening is most effective on the extrinsic stains. Vital whitening: It is done on teeth that have live nerves. Non-vital whitening: It is performed on that tooth that no longer has a live nerve. For example: tooth that has root-canal treatment. Why not come and see us for our next FREE Information Evening which is on Monday 10th of December@ 6pm where you will find out everything you need to know about teeth whitening. Questions like: Is the procedure safe? Is it painless ? How long do the results last? Do we guarantee the results? How much does it normally cost? What is our December “White Christmas” special? and all your other questions will be answered on the day.